St. John's four-star basketball recruit is once again heading to the wrong court. 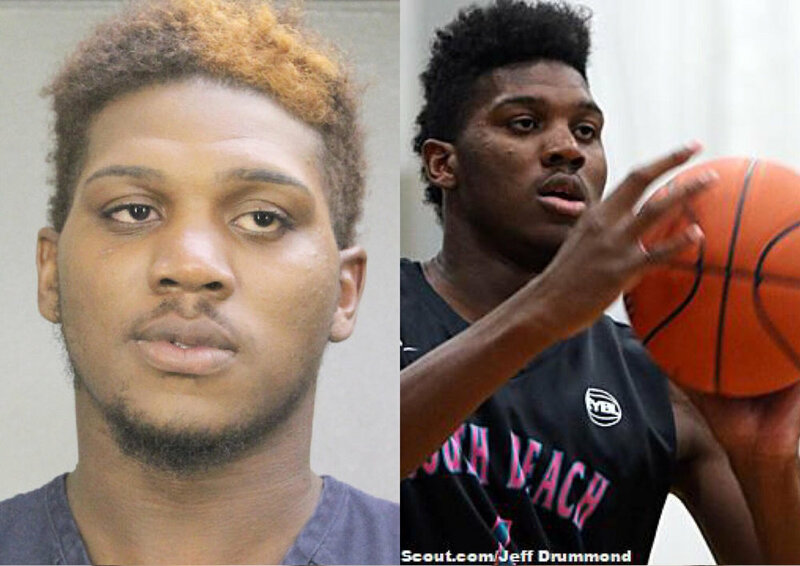 The school's incoming 7-foot-1 center, Zach Brown, was arrested in Hollywood, FL early Sunday morning. According to an exclusively-obtained police report, Brown was waiting in line at Walgreens, reached into the cash register and stole money. Exclusive surveillance video shows Brown (black shirt w/ white stripes) and his brother with their hands in the register. Brown's 20-year-old brother, Clayton, was also arrested. Witnesses immediately called police and said the store had been robbed, the report says. They also pointed out Brown's car to cops. It had a broken window. Officers were able to catch up to Brown's car, pulled him over, and arrested him. Brown, 19, was already facing felony charges of credit card fraud and robbery in Miami from May 2016. Once a star at Miami Beach Senior High, Brown transferred high schools several times, including a brief stint in Connecticut. He is currently playing for Calusa Prep in Miami. Police say they found $135 in five-dollar bills in the basketball player's front pocket. Brown's brother had $30 in his jacket pocket, the report says. Both were charged with first-degree petit theft, a misdemeanor. Zach was also ticketed for driving with a suspended license and having an expired tag on his car. St. John's University says "the department of athletics thoroughly reviews allegations of misconduct for both current and prospective student-athletes. Per university policy and as required by law, publicly commenting on particular student cases is prohibited."